Amount of time devoted to this game in the last week--Three hours, 46 minutes. Most recent boss toppled, location reached or milestone achieved--It looks like I'm about to take on the evil "Bebuzzu" in another of the game's surprisingly dynamic "pop-up duels" (one-on-one card battles, basically). Overall comments on the experience--I put a good amount of time into this 2007 DS game many years ago, shortly after it was first released, but so much time has passed since then that I decided to go back to it early last week. Unsurprisingly, I'm enjoying this second playthrough just as much as my first. 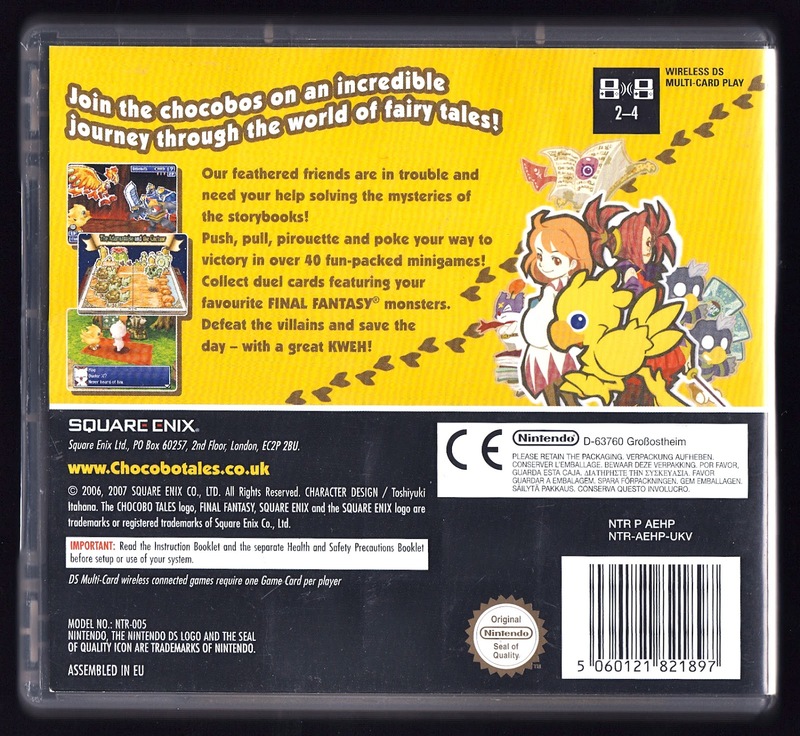 I say "unsurprisingly" because, as anyone who has played this game should be well aware, Final Fantasy Fables: Chocobo Tales does everything it can to bring a smile to your face--from the cute character designs, to the silly story, to the myriad mini-games that test your timing, reflexes and even your patience. For me, the mini-games and the aforementioned "pop-up duels" are the main highlights here, although I have to admit I'm still coming to grips with the latter. In terms of the former, though, there's only one mini-game that even somewhat aggrivates me at the moment (the very first one, "The Adamantoise and the Cactuar")--although, thankfully, I've already beaten it on its most challenging setting, so now I can ignore it. The rest, though, are a part of a lovely array of pick-up-and-play games that I wouldn't hesitate to buy for a buck or two if they were plopped onto the iOS App Store. 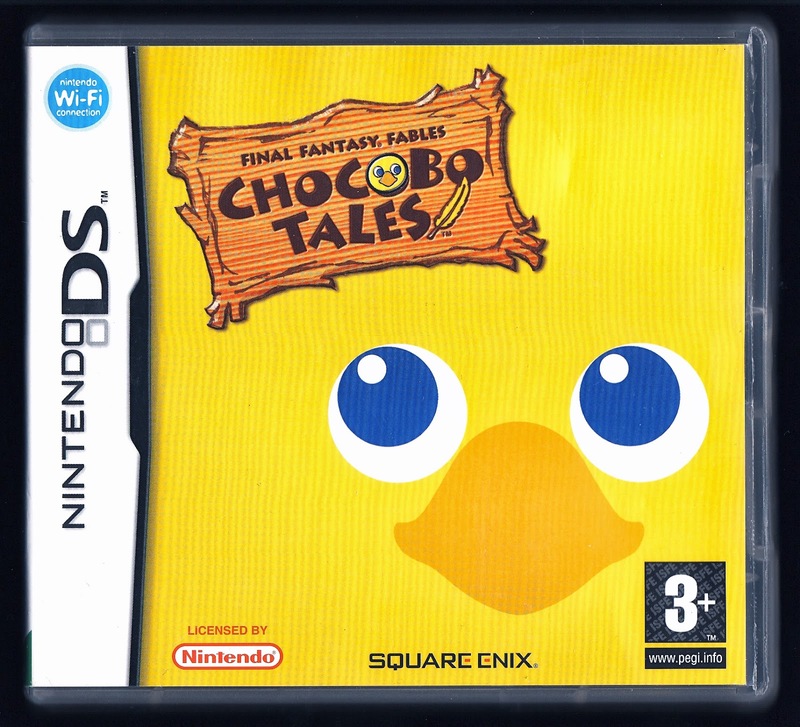 That said, Chocobo Tales' whimsical art style deserves to be pulled aside for praise, too, as it's nearly as responsible as its gameplay for maintaining my interest in this title. So, is there anything I don't like about this effort so far--aside from the mini-game mentioned earlier? Not really. I mean, I guess some folks may find the story included here disappointingly light, but I actually like that all of the blather that tends to be crammed into most of Square Enix's titles isn't present this time around. Another possible nitpick is that the mini-games don't always provide enough information for you to fully grasp what you're supposed to go to successfully complete them, but even then it's only taken me a few seconds to figure things out, so I wouldn't consider this to be too big of a niggle either. Will I continue to play this game in the coming days, weeks and maybe even months?--For sure. In fact, I can see myself sticking with this one right to the end. It's pretty much the perfect kind of game for me at the moment--as in, it's easy to pick up, play for five, 10 or even 30 minutes and then put back down again until I have some more free time. Also, it offers a ton of variety, which thus far has done a bang-up job of keeping me from getting bored with it. Do I recommend it to others?--Without question. It's one of those games anyone should like, I think--assuming you don't hate "cute" graphics in general or Square Enix's Chocobo character in particular. Plus, like I said above, there's a lot to do here, so even if you don't like the odd mini-game, you're sure to like a bunch of others. I thoroughly enjoyed this game. It released early enough in the DS's life to become representative of the kind of experiences that were unique to the system. Plus, I adore chocobos, always and forever. It makes me really sad that Square Enix seems to have abandoned Chocobo. A new fables on the Wii U, or a new Chocobo Dungeon on any platform, would be most welcomed. Heck, Square Enix could even take that card game and release it as a free to play thing on the iPad and I'd be all over it. BTW, this prompted me to realize that I wrote "caard-based battles" in one of this post's first paragraphs. Doh! Thank goodness it's easy to change. Back to the card battles, though; they're a lot of fun, Justin, although they aren't the focus of the game--or at least they haven't been the focus of my particular playthrough so far. I'd say that the card battles are about 25 percent of the experience and the other mini-games are about 75 percent of it, although it's possible that will change the deeper I get into the game? Oh. Yup. You definitely "saaid" so. My bad. Card-based battles are the reason I never finished Sticker Star. I loathe them. I hate the idea that a battle can be over because you have no more attacks left. That's just asinine. Anywho...maybe I'll check this out if the battles aren't the focus. You know what, Justin? 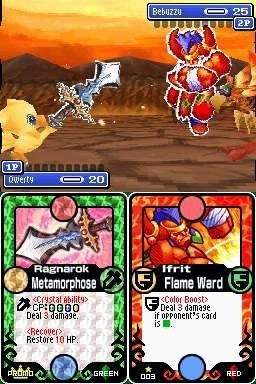 Not only aren't the card battles the focus of Chocobo's Tales, but they don't quite work like Sticker Star's either. (And for the record, I also hated Sticker Star.) For example, in Chocobo Tales, you never run out of cars, as far as I can tell. They just keep cycling through.